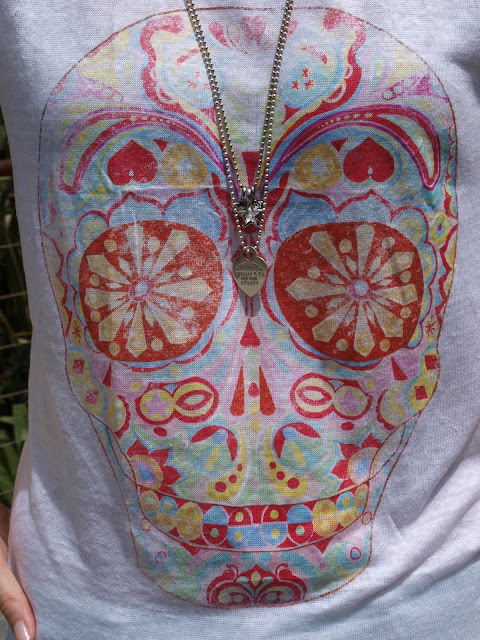 Another sunny day in Dubai, love the neon colours in this skull print tee and the light colour of these jeans with amazing rip details. I’ve been wearing my havaianas everywhere, it’s too hot for anything else! I think I’ve mentioned before my current obsession with piling on multiple necklaces and bracelets like I have done here, I particularly love the neon colour of the Aldo bracelet and how it links to the colours of the skull print.